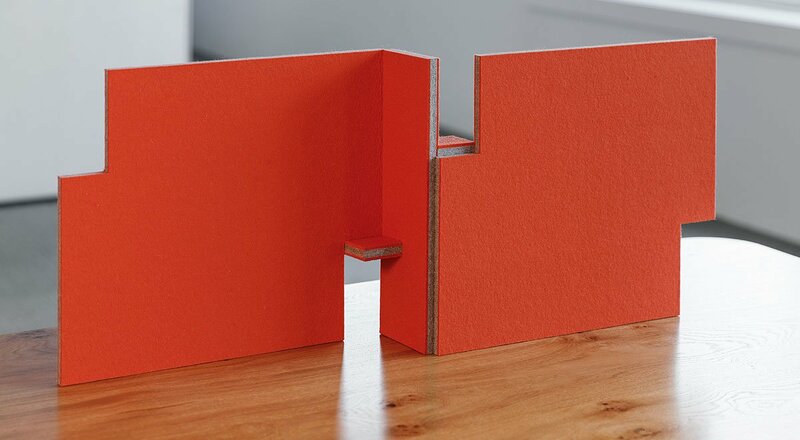 In a modern workplace where teaming and focused work needs to play nice, solutions to create privacy have to keep up with the pace. 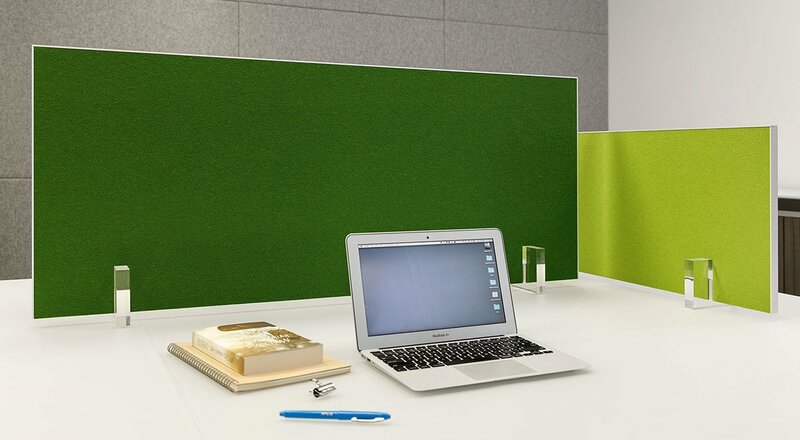 FilzFelt’s desktop screens put sound absorption and visual privacy right where you need it for as long as you need it. 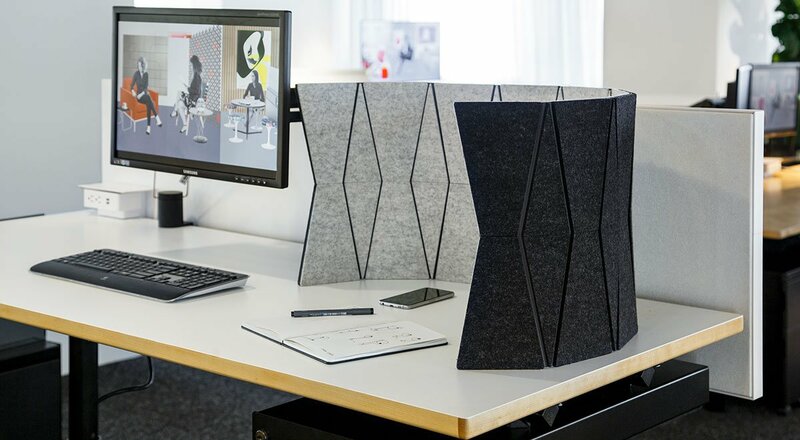 Designed to be easy to move but completely stable while in place, these screens pair 100% wool felt with thin and lightweight sound-soaking substrates available in a wide range of customizable sizes. 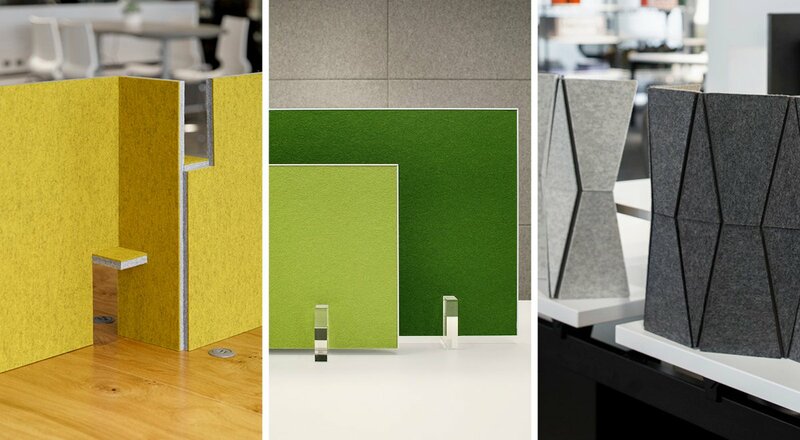 The screens disassemble or fold flat for efficient storage but assemble in a jiffy to create pops of color and natural texture with authentic detailing, unexpected forms, and high performance.